Increase Your Property Value With A Kitchen Renovation! The kitchen is the heart of the home, and while we may know when our kitchen space is due for an upgrade, we can tend to make excuses as for why it isn’t always a priority. But, we’d like to let you know that investing in a professional kitchen renovation is still worth the investment, and in more ways, than you may first think. 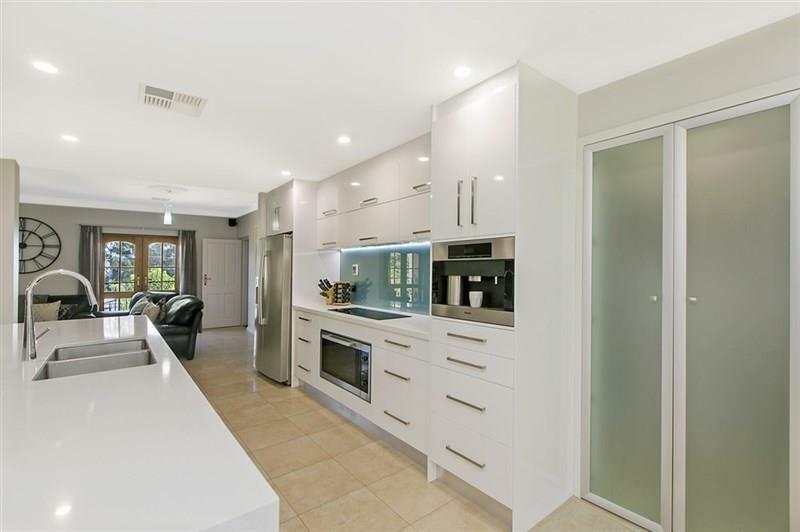 Here at Hills Robes and Kitchens, we have been providing Adelaide residents with premium kitchen renovations for well over 35 years. Our industry experience, knowledge and the passion that our staff hold reflects on each one of our kitchen renovation projects. Working with our clients, we work hard to develop kitchens that offer premium functionality and first-class style. The kitchen tends to be the centre hub to our homes. It’s where we cook, entertain and catch up on each other’s days. So when your home's kitchen is less than impressive, too small and lacks functionality, it can impede on your home’s comfort and overall livability. At Hills Robes and Kitchens, we specialise in creating Adelaide kitchens that bring families together in a space that proves to be functional, practical and stylish. Working with you our team of professional kitchen designers will discuss your wants and needs, and develop a bespoke kitchen design that will prove to be the perfect addition to your Adelaide home and lifestyle. You’ll Lower Your Energy Costs! While you may not believe it, investing in a kitchen renovation will see areas of your home and kitchen that may have been costing you money, reduced or even eliminated. For example, your kitchen renovation could see you restore those drafty windows that let the warm air out, or see you finally replace your low energy rated fridge – immediately saving you on your electricity costs! Working in a beautiful space, inspires us and promotes us to spend more time there right? Well, the same goes for your kitchen! Many people that find their current kitchens impractical, small and just a disaster tend to eat out more and obtain eating habits that can sometimes be unhealthy. With a fresh, new kitchen that is designed to maximise practicality and functionality from Hills, you’ll find that you want to spend more time in it rather than avoiding it, resulting in a lifestyle revolving around more wholesome home-cooked meals! It is probably the most obvious reason, but renovating your kitchen will see your home’s property value soar! If you’re looking to invest in a quality and professional new kitchen be sure to get in contact with the team from Hills Robes and Kitchens! With years of experience and a passion for excellence, you won’t be disappointed!